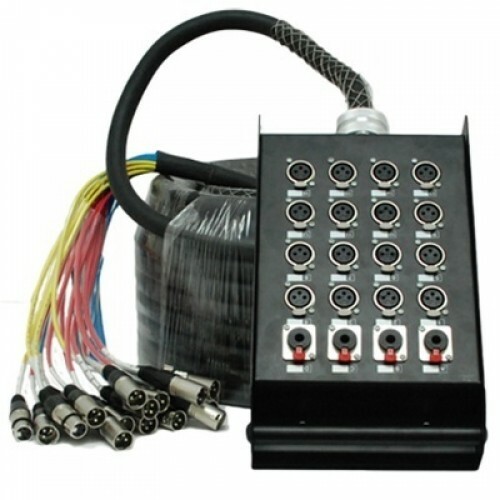 The gemini Live Wire 16-Channel/4-Return Stage Snake has 16 Neutrik balanced XLR ins and 4 Neutrik 1/4" balanced returns with 24-gauge twisted-pair construction and 100% shielding. Heavy-duty nylon cable grip at box and durable, flexible PVC jacketing protect your box and the wires. Live Wire's color-coded fan is also numbered for easy identification.